Abu Dhabi, 27 Jan: The Annual General Meeting of Konkani Cultural Organization (KCO) was held at Cristal Hotel Abu Dhabi on 24th of January 2019. CA Valerian Dalmaida was elected President for the year 2019, along with Mrs. Sandhya Vas as General Secretary and Dr. Sunil Pinto as Treasurer. All the office bearers were elected through secret ballot. CA Valerian Dalmaida would also continue to be the KCO Trust Advisor for the year 2019. The other office bearers for the year 2019 are Mr. Vivek Serrao - Vice President; Ms. Lizelle Pinto – Assistant General Secretary; Mr. Benette D’Mello - Entertainment Secretary; Mr. Sebastian Pais - Sports Secretary; Mr. Jason Correa - Media Coordinator; Mr. Franklin D Cunha – Disbursements Committee Coordinator; Mrs. Amitha Costa – Internal Auditor. Mr. Michael D’Silva, Mr. Dolphy Vas and Mr. Gerry D’Mello, the past presidents were chosen as Advisors to the present committee. As KCO would be celebrating its Silver jubilee in 2020, a Silver Jubilee Committee is set up and founder President Mr. Leo Rodrigues is leading the Committee as the Coordinator. The President CA Valerian Dalmaida is currently working as the Group Head of Support Services for Al Ain Holding Group of Companies. He has over 38 years of experience in various fields including accounting, audit, finance, IT services and Administration. He earlier served KCO as President, Secretary, Treasurer, Internal Auditor, Advisor and KCO Trust Advisor. 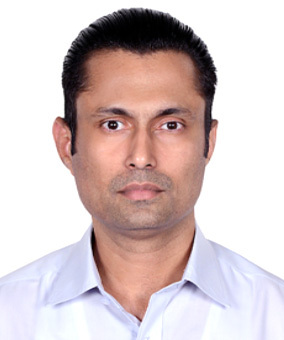 Valerian holds a Bachelor’s Degree in Commerce from Mysore University, India; A Fellow Member of The Institute of Chartered Accountants of India and A Certified Support Manager from Service Strategies, San Diego, USA. Valerian attended various leadership training programs globally and also holds a certificate in counselling from AVOSA, Abu Dhabi. Considering his vast experience, Valerian is the right choice to take KCO to its silver jubilee celebrations in 2020. 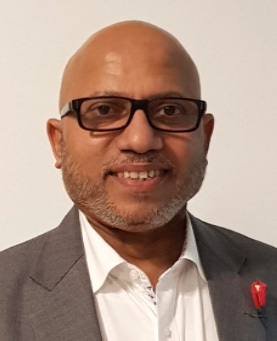 The Treasurer, Dr. Sunil Pinto (PhD, MBA, M.Com) was also the Treasurer for 2018. He is a young dynamic personality who is presently working as a Finance Manager in a reputed company in Abu-Dhabi. He is also known for his dedicated service in St. Joseph Cathedral Abu Dhabi and has been the Coordinator of USHERs Ministry. He was also the founder President of ESPA a community group of Surathkal Parishioners. 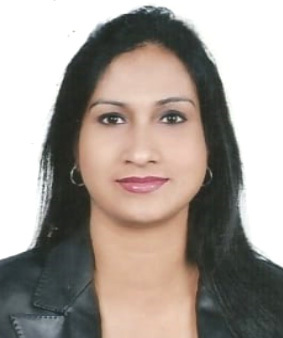 The Secretary, Mrs. Sandhya Vas is a trained Physiotherapist and presently working for Corniche hospital for over 10 years. She has been in UAE for the past 16 years and hails from Angelore Parish, Mangalore and residing in Kinnigoli. She is an Excellent Sports woman and has led the KCO throwball team as the Captain couple of times. She has also previously worked as the Sports Secretary for KCO and as was the assistant General Secretary for the year 2018. KCO has been growing in popularity year after year and has become a household name not only in Abu Dhabi but entire UAE. For the past 23 years KCO has been involved in various social, cultural and religious activities in Abu Dhabi. During the AGM, the Outgoing president Mr. Michael D’silva thankfully expressed his gratitude to all the office bearers and committee members for their tremendous support during his tenure as president. Newly elected president CA Valerian Dalmaida also thanked everyone for reposing faith in him and electing him as a president of KCO. He promised that with the support of all the members, KCO will be holding many activities in 2019. Konkani Cultural Organization (KCO) is well known in UAE, GCC and in India for its benevolent work in helping the needy and deserving students. They initiated several scholarships through Samanvaya of Mangaluru and also been helping scores of people suffering with critical illnesses. KCO has been recognizing and supporting many NGO’s back home who are working with distressed, downtrodden and the needy in and around Udupi - Dakshina Kannada districts. White Doves, Snehasadan, Jeevadhaan, Samanvaya, Saanidhya- Ganesh Seva Trust, Shanti Kiran Technical and Sneha Charitable Trust are the few names of NGO’s though with KCO has provided Socio-medical help to the needy in the past. KCO is contineousely sponsoring community marriages of underprivileged for the last few years. With the enormous help from Sponsors and benefactors KCO has managed to carry out their noble mission within UAE and India. It has also transformed itself as a mirror reflecting the culture, tradition and upholding the values of our great ancestors and has turned out to be a focal point for the Konkani community in Abu Dhabi. Congratulation Valerian Dalmaida and all the members of the new committee. All the very best to continue the service and good work which is always being done year after year.